SUMMARY: Caller reported unknown person stole bike. Master Patrol Officer Bruce Holmstock responded. Pending investigation. SUMMARY: Caller reported thirdhand information that person sent photos misrepresenting themselves. Patrol Officer John Tagliavento responded. Pending investigation. SUMMARY: Caller reported person is disoriented and not communicating. Person was transported to the hospital by ambulance. Assistance was provided. SUMMARY: Caller reported light fixture fell from the ceiling and injured their forehead. Person declined medical assistance. Patrol Officer Lance Clark responded. A report was taken. SUMMARY: Officer reported vehicle for failure to stop at stop sign. 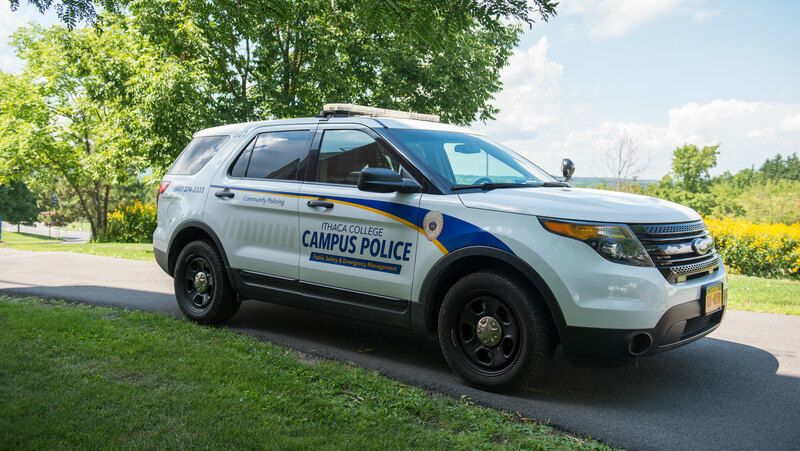 Officer issued person a campus summons for failure to stop, and the person was judicially referred for using another person’s license. Patrol Officer Dylan Hardesty responded. SUMMARY: Caller reported unknown person stole clothing. Patrol Officer John Tagliavento responded. Pending Investigation. SUMMARY: Simplex reported fire alarm. Activation caused by smoke from cooking. The alarm was accidental. SUMMARY: Officer reported odor of marijuana. Officer judicially referred two people for violation of the drug policy. Patrol Officer John Tagliavento responded. SUMMARY: Caller reported person having an allergic reaction. Person transported to hospital by ambulance staff. Master Patrol Officer Bob Jones responded. Assistance was provided. SUMMARY: Caller reported person fell and injured ankle. Person declined medical assistance. Patrol Officer Corrine Searle responded. A report was taken. SUMMARY: Caller reported odor of marijuana. Officer judicially referred one person for violation of drug policy. Patrol Officer Neena Testa responded. SUMMARY: Simplex reported fire alarm. Unknown cause for activation. Patrol Officer Bryan Versoza responded. The alarm was accidental. unknown vehicle damaged parked car and left scene. Officer reported person declined to file report. Patrol Officer Lance Clark responded. No assistance was provided. SUMMARY: Caller reported person in personal defense class injured knee. Person declined medical assistance. Patrol Officer Corrine Searle responded. A report was taken. SUMMARY: Simplex reported fire alarm. Person accidentally struck detector causing activation. Master Patrol Officer Jon Elmore responded. The alarm was accidental. SUMMARY: Caller reported stovetop fire. Person used fire extinguisher to put the fire out. SUMMARY: Officer reported person stealing golf cart. When confronted, person stopped operating cart, and three people fled the area. Patrol Officer Jon Elmore responded. Pending investigation. SUMMARY: Officer determined person on the Campus Center Quad on Oct. 6 will be issued a warning rather than judicial referral for irresponsible use of alcohol. Master Patrol Officer Jon Elmore responded. Warning issued for judicial action.